The new alarm/reminder feature in Transit App is configured when you select the bus line or train line that you want to take to get you to your next destination. Highlight that line then tap the Clock icon in the details. You will then have the ability to set a reminder before that bus or train departs so you won’t miss it. Equally as important, the app tells you the estimated walking time from your current location to the bus or train station so you can accurately estimate when you need to leave to catch it. or in your city are pedal friendly. This will help not only in your planning but should help keep you a bit safer as you travel. Transit App covers a lot of cities here in the United States as well as other globally. This includes major metro areas such as New York, San Francisco, Houston, Denver, Seattle and Washington DC. You will also find great coverage in Canada and Europe. Be sure to check out the full product description in the Play Store for all the details on which cities are available in the app. 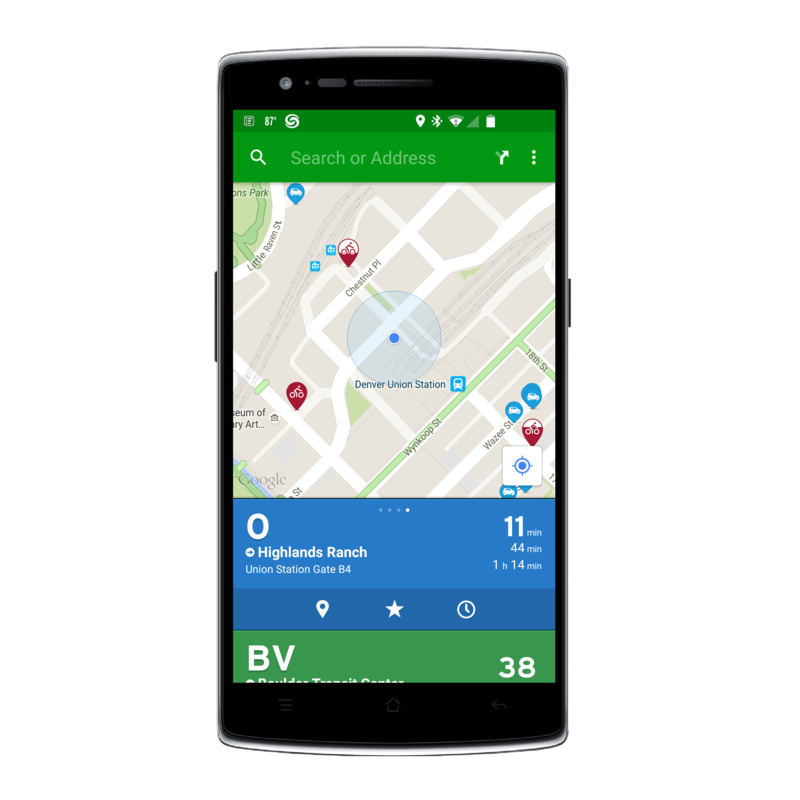 Transit App for Android is designed for Android phone and it is free. If you are looking for a powerful and accurate public transportation app and trip planner, give this a serious look.